You don't have to be a Navy Seal...to keep yourself safe! I don’t believe you need to become a Navy SEAL just to keep yourself safe! There, I’ve said it. And you can bet there are a lot of people in the defensive training business who are mad at me for saying so! If you’re like most people I know, you and your family simply want to lead a happy and safe life. You want to take some responsibility for your own safety because you know that even the best, most conscientious police officers can’t be stationed outside your door or follow you around all day. The problem, as you may have discovered, is that the defensive training industry often approaches self defense by assuming everyone can dress and act like a soldier. 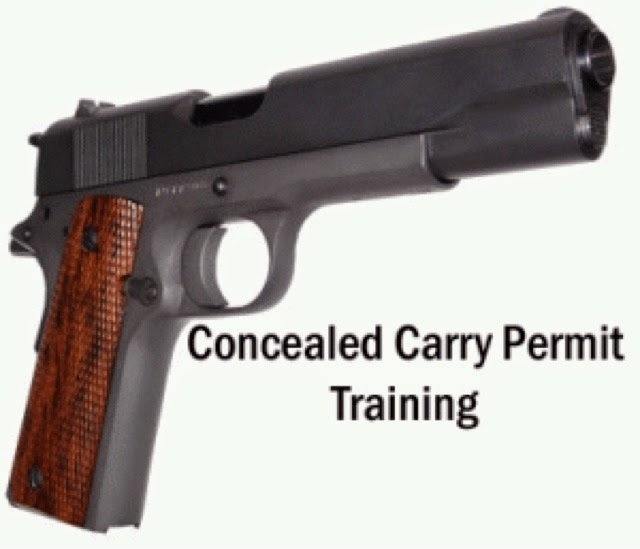 It’s hard to find defensive training information that deals with the “real world” — like how to carry a self-protection firearm in a professional environment, how to use it effectively inside an office or a church, or even how to conceal it and still remain fashionable enough that no one notices! More importantly, I can teach you how to carry, use and practice with the tools you’re actually going to have should you need to defend yourself tomorrow! I can also help you to develop the skills you really need as a private citizen in a self defense situation, as opposed to those of a police officer or a soldier. The skills you need are different than what they need! How do you get this critical personal security information and develop those important self defense skills? With the resources on this site! In fact, this site is dedicated to helping make you and your family more prepared, more resilient, and more able to deal with life-altering events. Your journey to living a safer, more secure life begins with being armed: with knowledge, skills, and the appropriate tools. Buying a gun won’t necessarily keep you safe — but knowing when, why and how to use a firearm in defense of yourself and your loved ones can go a long way to making sure that you’re never a victim. You can learn all of that right here, but it’s up to you to take that first step! If you’re an avid reader of USA Carry and other 2A blogs, you’re likely to hear about all the premium high-speed, super modified custom rigs people carry. Don’t get me wrong, I love a great Dan Wesson 1911 with custom engravings and all the rest — but it’s not at all necessary to become a concealed carrier. Let’s take a pause and just look at the rough, approximated costs to just get that beloved concealed carry permit in your wallet. Obviously, numbers will adjust depending upon where you live and the particular process you go through. **Some states include this with the application fee, some don’t. So, administratively, you’re looking at a cost of somewhere around $90 to $330+ in order to meet all the requirements for your state to get your concealed carry permit. This number will jump around a bit — some much lower and some slightly higher — but after it’s all said and done that’s still a significant drop in the bucket. After you get your permit, you’re going to still be recouping those costs. So, let’s look at some of the required equipment to really competently carry everyday for just that first month. You need all of these pieces, realistically, to conceal carry. There’s no piece out of this first month’s expense that you can really go without. A gun without ammunition is worthless. A concealed carry pistol without a reliable holster is a disaster waiting to happen. Operating a gun without at least one backup magazine is silly. And if you don’t practice with the gun you carry at the range — at least once a month — then you don’t understand how it will perform if you actually need it. This is where you need to understand what your budget is and work accordingly. Let’s do a thought process for a “cheap as dirt” run-through. New, it retails for around $300 and is a reliable sub-compact pistol. For 200 rounds of full metal jacket ammunition, you could expect to reasonably pay $70-90 (depending on market value at the time). For your self-defense ammunition that you keep in your everyday carry magazines, you only need one box of 20-50 rounds. These rounds you don’t take to the range and just keep solely for loading into the gun when you carry it around — so they should last you awhile. The Bersa Thunder comes out of the box with 2 magazines and includes a gun lock. You can get a set of cleaning gear and some gun cleaning lubricant for less than $12. It’s possible to go cheaper. You may find a gun that’s used or you may go with something extremely budget like a Hi-Point. Personally, I’d always advocate to find the right pistol for your style and setting a realistic budget for that. It’s better to carry a gun you feel confident in rather than carry a gun you don’t trust (or has a bad record of performance). The good news? Most new firearms you buy at the gun store will come with an additional magazine right off the bat. The Glock Gen 4s, for instance, usually come with 3 magazines. Ask the shop clerk how many magazines come with the gun. If the answer is one — consider another model. When shopping for a firearm, also consider how common it is. The more common a firearm is, the more companies make holsters and equipment for it. Almost every holster manufacturer on the market makes a Glock 19 or 26 holster. There’s a handful that make inside the waistband holsters that fit an FNH 45. A third consideration is ammunition style. The cheapest ammunition — outside of .22LR — is usually 9 x 19 mm Luger. This is quickly followed by .38 Spc, .380 ACP, and .40 S&W. There are certainly exceptions but generally when shopping for a pistol or revolver, consider the actual cost to practice with it. If you buy a unique caliber size, like the 10mm or a .32 caliber, there’s not a lot of market demand so supply is limited. If you get something chambered in 9 x 19mm Luger, you have a high probability of picking up a box of 1000 rounds surplus ammunition for as little as $180. So, do the math. Think by the numbers. And the last consideration is your ability to secure the weapon. If the firearm isn’t going to be on your person, it needs to be locked up. That’s for your safety and the safety of anyone else living in your house. A gun doesn’t just grow legs and hop out of the nightstand, but it can certainly be picked up by the wrong set of hands if you’re not careful. Most guns come with, at a basic, a gun-lock. Keep a set of those gun lock keys and make copies to give to your significant other or a trusted family member. It’s possible to get all the equipment and permitting, from start to finish, for less than $500. That’s not an insignificant number but it is an attainable one. Budget, shop around, ask lots of questions and don’t be afraid to keep shopping around until you find the perfect fit. This is your life. You can protect it on a budget. Last Saturday morning was a lazy day in my life. I got up early, went for a run, and came home to settling down for a cup of coffee and a leisurely scan of the news. Contrary to popular imagination, the life of a writer contains very few such days off and I make it a point to enjoy them. Number one on the list, as it turns out. Folks with a CCW will shorten both the stride and the arm swing on the weapon side of their body. I was trained to do this: when approached by another person, turning the weapons side away in order to leave your weapon protected and your draw unobstructed. I suspect we’re all guilty of this to some degree. There’s a tendency especially among newcomers to subconsciously check their weapon with a quick touch or adjustment. An easy mistake, all too commonly made, and thankfully self explanatory. A trenchcoat on a hot summer day is about as subtle as a marching band in full swing. Clothing should match weather conditions, else it’s a giveaway. This one’s a lot harder to quantify, but some police sources note that nervous or shifty behavior, including reaching for the weapon, show up on their radar. Obviously there may be many more—I’ll be interested to hear what you’ve noticed—but the real question confronting us here is “What can we do about it?” Well, there are a few solutions, and they all come down to the two key buzzwords: practice and training. Find the right carry system, test it, and trust it. Practice carrying and drawing the weapon till it becomes second nature. Keep your permit (where applicable) current and stay on the right side of the law. Stay aware of yourself, your movements, and your attitude. A little attention goes a long way. Beyond Basic Handgun Skills: 8 essential concealed carry skills!!! 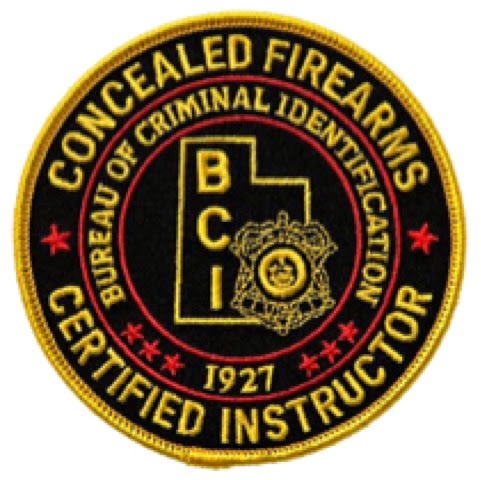 Once you have completed your basic handgun skills and safety class, learned the fundamentals and legal requirements and parameters for concealed carry (CC), and earned your state’s CC license or permit, it is important to take that critical next step. That step is getting proper professional training beyond the basics to help yourself learn and apply other necessary and practical CC skills for real-world encounters and the actual use of deadly force. In addition to thoroughly knowing the laws and effectively applying the shooting fundamentals of proper (1) grip, (2) stance, (3) sight alignment, (4) sight picture, (5) breath control, (6) Body Movement Control, (7) Trigger Control, and (8) Follow Through, I believe those that carry should ensure that they have at least these 8 very necessary CC skills and regularly practice them. Realistically, it is not sufficient to slow-fire shoot and hit most of the time somewhere on a stationary 9-inch paper plate at 3 to 4 yards with a two-handed grip in a relaxed and stress-free range environment. Punching holes in the paper plate is not the proper goal. To save his/her life, a CC shooter must be able to regularly and quickly hit a 3-4 inch group at 5 to 15 yards (some say out to 20-25 yards) under various influences, unexpected target challenges, and stressful situations. Marksmanship techniques and skills can be learned and mastered with considerable training and practice. The muscle memory must be developed and some estimate it takes between 5,000 and 7,000 repetitions of an action or behavior to commit the technique or skill to an automatic response from muscle memory. Remember, accurate shot placement is more important than the caliber or equipment you choose. PRACTICE! There are generally-accepted steps and techniques for drawing and presenting a handgun properly and effectively. In my recent “Concealed Carry and Handgun Essentials for Personal Protection” book, I give 9 Steps in the Draw Process, along with tips for clearing a closed and open carry garment. It is also important to know how to and to practice properly lifting and rotating the gun to adequately present it. Safely re-holstering requires focus. PRACTICE! For self-defense, especially if there are multiple attackers with weapons, it is key for survival to be able to quickly and properly reload an empty or almost empty gun. It important to keep your defensive gun up and running and reloaded. Fine motor skills are involved in reloading under stress, so you must practice the involved skills. Shooters should know the various ways to load, unload, and reload different handguns in various situations. Know how to do an emergency reload efficiently; know how to manipulate the magazine release; Know how to perform a tactical reload in a timely manner when a gun has only fired a few rounds from the mag; Know techniques for retaining the partially-used mag for later use; Know how to do a speed reload; Know how to index your finger along the side of the mag; keep the gun near eye level when reloading and inserting mags, etc. PRACTICE! Probably every handgun shooter will experience a malfunction or stoppage of some kind over his/her lifetime. Are you prepared now to handle the many types of mechanical, physical equipment, procedural, and related failures that might occur? Can you identify the various types of malfunctions and stoppages? Do you know what to do if you have a squib load, stovepipe, hang fire, or double feed? Failure to fix the failure or clear a stoppage can prevent the shooter from rapidly getting follow-up shots on target or quickly resuming the gunfight to save his/her life. So it is just a matter of time for this to occur, is critical to identify the problem and fix it, and do so quickly in the field when it happens. It is imperative that every shooter has complete confidence that his/her handgun will function mechanically 100% of the time. But, remember all mechanical devices, like guns, can and do fail. Be cautious, keep your gun clean and maintained, use proper ammo, and PRACTICE! Cover and concealment are different and shooters must know the differences and how to deploy each for their safety and use. Briefly, cover is protection from the fire of hostile guns, while concealment is protection from sight and observation, to allow you to observe your attacker while hidden yourself. Material such as steel, concrete, and thick wood help with cover, while foliage, dense brush, netting, and even shadows conceal you from being seen, but not necessarily from being shot. Some buildings provide both cover and concealment, but be aware of the vulnerabilities. In a live-fire encounter, the top priority is finding and using COVER. Needless to say, when there is movement, accuracy suffers. But we all move, so our goal should be to minimize movement, not to eliminate it because we cannot. So movement and hold control means we should hold the body and handgun as still as possible when the shot is fired. However, we usually are moving backwards, forward, or sideways when we are in a deadly encounter with a threat. So, it is important to take the time to practice movement in various directions while shooting. Be very careful when practicing shooting on the move. Safety First Always. Most are not familiar with the proper techniques and tips for shooting while on the move, so learn them. PRACTICE! Recognizing that the primary purpose of presenting your gun and shooting it in a tactical encounter is to hit the “Bad Guy/Gal” threat or target, you must be able to do that quickly with controlled speed. For survival, a defensive shooter must do this regardless of the distance to the threat target or its size. This takes practice. Yes, accuracy is of prime importance, but speed is also important and they are closely related. There must be a balance between the two and you personally must be prepared to blend the speed of the shot and the accuracy of your hit. Recognize that you are at a disadvantage initially, because the threat has planned the attack and is initiating the action against you at the present moment… and you are usually reacting and responding to the attack in progress. You must respond immediately and your shot must be placed optimally to reduce damages and injuries. So, a slow target hit after the immediate gunfight attack is over is worthless. Unnecessary movement must be excluded in all aspects of shooting, e.g. draw, trigger press, sight picture and grip acquisition, etc., so break the draw process, the trigger press, and the other actions into their components, use a shot timer, and PRACTICE each one independently of the other. Without a doubt, the speed of your draw, application of proper fundamentals, movement reduction, and attention to speed factors are key to survival in a violent encounter. Yes, we know that firing a handgun with two hands usually provides more stability for recoil control, better shot-to-shot recovery, presentation to target, etc., but the ability to shoot with one hand is an essential skill. You may need to shoot from various stances and positions with one hand, rather than the usual full extension with two hands in front of your eyes and body. In reality, the likelihood of needing to shoot with one hand is quite high. The attacker may be right on top of you quickly, so you may not want to extend and place both hands within his reach and control. It may be necessary to shoot just above your holster level or from your hip with only one hand. Maybe the attack comes so fast that you do not have the time to bring your support hand into the situation; maybe your support hand is injured, disabled, or involved with opening an exit door, fending off the attacker, holding a child or a bottle of nitroglycerin, etc. You must train to shoot using just one hand, as well as with two hands and only your right or left hand by itself… just in case. Do not neglect this. PRACTICE! Just as with one-handed shooting, you may have no choice but to shoot only with one hand… and that one hand may be your weak or support hand, rather than your usual strong hand. So “righties” would have to shoot with their left and “lefties” would shoot with their right hand. Try this sometime using your computer mouse quickly with your opposite hand. It is difficult to do effectively and efficiently and takes practice. A consistent grip and trigger finger placement and movement are keys and you have to practice them for the support or weak hand. This does not usually happen naturally and must be learned. Often, when shooting with the weak hand shooters do not get on target as fast nor as accurately. Proper placement of the weak hand on the backstrap, turning the gun to create space in the gap for the strong hand, and getting the trigger finger on the trigger too early are problems. Also, determining, understanding, and implementing the relationship between your weak hand and your dominant, strong eye for sight alignment and accuracy are important. Ah, the key word again. PRACTICE! There always seems to be some inconsiderate jerk dangerously cutting you off in traffic, quickly switching lanes in front of you, and making you angry. Some bozo on their cell phone oblivious to those around them, talking and slowing way down in the left lane as you want to pass. Some young, inexperienced driver tailgating your car’s bumper at light speed, slamming on their brakes while yelling profanities. An older-than-Methuselah, coffin-dodger driving slower than a snail in molasses in a 45-mile-per-hour zone, making you mad and late to pick up your lottery winnings. Then there’s the selfish, cocky loser presenting a finger digit in the air to remind you of his driving IQ. How do you respond to Road Rage, especially if there is a gun? I want to offer you some responses and suggestions. We all have experienced some crazy nut job on the road or a dangerous, selfish driver causing us a lot of stress and being inconsiderate of our vehicle space and our road right-of-way. Some studies estimate that over half of all drivers have experienced Road Rage at some point because of aggressive driving by others or themselves. This is a cause of accidents and death in some cases. But what if you are legally carrying a handgun with your carry permit in your vehicle at the time. Do you have to put up with this annoying, discourteous, unacceptable and selfish driving behavior from this jerk? How do you handle the situation, especially since you have a powerful means to deal with it? Do you pull your gun as a show of power or threaten the idiot? Maybe fire a round in the ground to let him know you mean business and to leave you alone. Do you make a turn and drive away in another direction? What are your considerations in the brief time you encounter this disrespectful person? What do you do? Well, we have to recognize that we are talking “Road Rage” in the above situations and it really exists. But what is it? Does it really happen that often? Could it even remotely apply to “moi” when carrying? Merriam-Webster Dictionary defines it simply as “anger and aggressive behavior by a driver who is upset by how another person is driving.” Some go further and say that it is a motorist’s uncontrolled anger that is provoked by another motorist’s irritating act and is expressed in aggressive VIOLENT behavior. This can and has involved producing firearms and/or firing them. The second HSPH study in 2006 by Hemenway, Vriniotis & Miller studied over 2,400 licensed drivers’ responses to questions about their own aggressive driving. This study found that 17% of respondents admitted to making obscene or rude gestures in the past year, and another 9% admitted to aggressively following too closely. They said that “males, young adults, binge drinkers, those ever arrested for a non-traffic violation, and motorists who had been in a vehicle in which there was a gun, were more likely to engage in forms of road rage” (my bold and underlining.) Before accepting this as a generalized “truth” and drawing conclusions, I would like more details about this study and some concrete examples to review, especially about riding along with someone who happened to be armed in a vehicle. However, it is one study and makes you think about Road Rage and its application to your own actions when carrying. While we should be positive, see and focus on the good in others, we must remove our head from the sand and see that there are also bad, evil, reckless, manipulative, self-centered morons driving automobiles. This is even more complicated and dangerous when a gun is introduced into the mix. As difficult as it may be, we must have the discipline and self-control to deal with our anger, the obnoxious and dangerous drivers, and any stressful situation we might face. This is true whether we are in a vehicle with a gun or not, or on the street without a gun, or while carrying or shopping with a concealed or open carry gun. This is certainly simple and easy to say, but complex to practice and implement with the many situational variables and dangers. Introduce a handgun into almost any situation and it will escalate and there are life-threatening possibilities. Most of us recognize this, but practically dealing with it often can be a major challenge. After all this scumbag is wrong and our emotions speak loudly to us saying he needs to know it and be dealt with. But, our logic says we want to AVOID trouble at all costs, DE-ESCALATE the situation, but BE PREPARED just in case. Of course, it is important for us to accept that we are in control of our own actions, behaviors, and how we respond to stressful situations, especially deadly-force encounters. No matter how wrong the other person is or how stressed we are at another’s stupid, inconsiderate, self-centered behaviors and actions (while in or outside of a vehicle or with or without a gun), we must control ourselves and how we respond. And not just for legal reasons. Use of deadly force is NOT always nor frequently the answer. Just as non-deadly force may also not be an optimal response, but usually (not always) we should try the non-deadly force first… very dependent upon the situation. My point is that we alone determine our specific actions to ANY situation we might find ourselves in, given the many factors involved. Even in Road Rage. But remember we always MUST justify our use of deadly force and prove that our life was threatened, that we were in fear for our life, and that imminent death or serious bodily injury could have occurred. Not an easy task, considering we usually must have a preponderance of evidence. In some states, we are not innocent until proven guilty, but rather we as the defender must take the initiative to prove our use of deadly force was justified against an attacker. Sometimes the burden of proof for guilt does not rest with a state prosecutor, but with the accused to prove their innocence. We could spend a lot of time and money in court trying to justify and prove our righteous use of deadly force in a Road Rage event. It is important to recognize the influences on our own behavior and how delimited our personal experiences are relative to the total possible set of experiences that we could have. In other words, our response is determined by both things we easily recognize and by other elements we may not recognize and that may even be subliminal or sub-conscious to us. We have to use our brain’s prefrontal cortex and make logical decisions and take the best action, not emotional decisions using our brain’s amygdala. Rather than get into proven behavioral stimulus-responses, it is best to keep it basic, especially for me. I understand simply that everyone behaves in a way that makes sense to themselves, based on their total being of the sum of their experiences, training, education, family influences, values, background, priorities, goals, inherited traits, geographic influences, ad infinitum. Add to this the fact that we do not know what we do not know. Since we have not experienced first-hand the many possible alternatives in the many possible situations for any event, sometimes we assume we have the understanding and capability to handle the unique situations we have not yet faced. But, we have very delimited exposure to the vast possible problems and situational variables and possible actions. Accepting this, the simple Road Rage incident has developed into a much larger and more complex and challenging issue. Bottom Line: How do we personally deal with our anger and the Road Rage in an acceptable and effective manner? As I said above AVOID the situation, even Road Rage, before it starts if at all possible. Remember, you are probably going to have to justify and show your actions and use of force were absolutely necessary. If there is an aggressive, inconsiderate jerk-driver, drive away from them, retreat, do not engage them. You know that the best way to “win” any fight (verbal, physical, or gunfight) is to not even be involved in it. It is not a win-win situation. It is not even a win-lose situation, but a lose-lose situation. You and the other party have nothing to gain, but a lot to lose, especially if a gun is involved. You must make every attempt to NOT present your gun, unless your life is threatened or you could be seriously injured. Do not fire a round into the air or into the ground. Know the laws of your state and jurisdiction. Of course, situations vary so be judicious. Even if the guy/gal is obviously wrong, accept that you are not the savior for mankind, that you are not out to “right” all “wrongs,” that you are not the dispenser of societal or moral justice, and not a police officer. So if you can leave safely, do it. Do not stop your vehicle. Do not get out of it. Do not fall into the “trap” of the aggressive driver who is luring you into the “fight” and baiting you to demonstrate an equally-abusive and inconsiderate behavior. Do not be intimidated. Relax, keep your cool, and remain calm! In a Road Rage confrontation, be logical and not emotional in your thinking. You are not trying to prove anything to anybody or settle the score. You may have to remind yourself that the jerk driver could be armed, maybe with more firepower than you, and maybe out of your sight and aimed at you. Do not make the “rookie” mistake of letting your self-esteem and machismo becoming involved. It is not a matter of your virility, pride, toughness, or expertise with a gun. Remain calm, cool, and collected. Be disciplined and in control. If the jerk driver persists with the aggressive behavior, you could always drive to the police station or make the phone call to them as the victim and wait for them to arrive. Be disciplined and logical. Remain calm and in control. Avoid encounters. Be Safe. Getting the upper hand in a gun-fight! Pistol Sighting Options: what Decision To Make? Should Concealed Carriers be Crime Fighters?